Gabriel Jesus added a late third for the visitors at Selhurst Park. Pep Guardiola hails veteran Roy Hodgson's "special energy"
The Eagles recorded a 3-2 win at the Etihad Stadium last December. Manchester City's latest task in their quest for the quadruple takes them to Selhurst Park on Sunday. James Tomkins has joined Mamadou Sakho on the sidelines. Team-mate Max Meyer had posted a picture on social media. Tottenham beat Crystal Palace 2-0 on their grand opening. The Crystal Palace manager expects to see "the very, very best Tottenham" as they look to impress. The Terriers have equalled an unwanted record of becoming only the second club to be relegated from the Premier League before the end of March. Gray scored the winner just three minutes after coming on. The Crystal Palace full-back had been tipped for an England call-up but was instead named in the under-21 squad. Knockaert was perhaps fortunate to escape with only a yellow card when he fouled Milivojevic in the opening minute at Selhurst Park. The 21-year-old full-back is also eligible to play for the Democratic Republic of Congo. Roy Hodgson claims that Aaron Wan-Bissaka is 'not bothered' about talk of an end-of-season move away from Crystal Palace, with Manchester United said to be interested. Knee surgery means stint on the sidelines for Crystal Palace defender. Parker takes over as caretaker as Ranieri's reign was terminated after just three months. 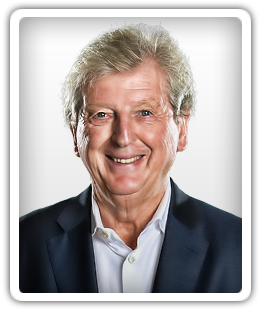 Hodgson has previously managed the Cottagers.